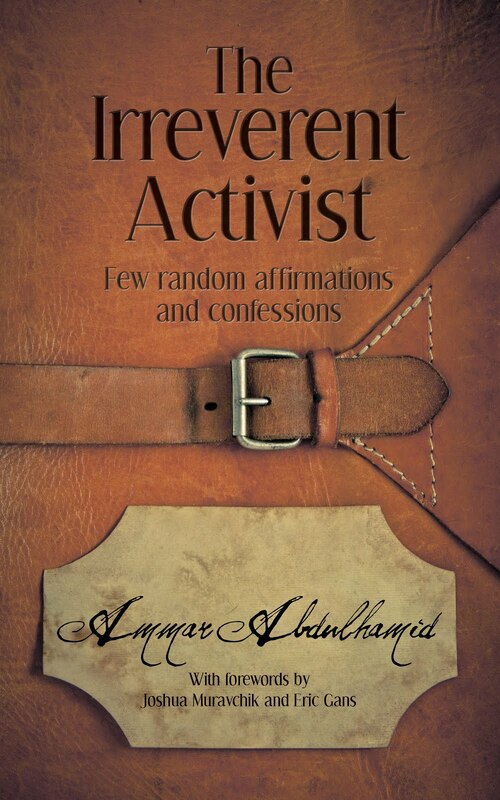 About Ammar and "The Irreverent Activist"
Sometimes what we need is to feel real and grounded, even if that doesn’t translate into feeling good. For only by feeling this way can we face reality as it is and hope to overcome it. Change begins with the real, not with the ideal—with the existing, not the aspirational. The real is the starting point. The ideal is the pursuit. The real is where we exist. The ideal is where we aspire to be, one day, or where we hope that our children will be. But throughout our lives, we are more often told about the ideal than the real, perhaps to encourage us to not forget where we are going, to keep our eyes on the prize, as they say, and to help us feel “inspired.” But in focusing too much on the ideal, we sometimes forget where we are now, why we are here, and the nature of the challenges that are confronting us. As a human-rights and prodemocracy activist, I could never afford to be oblivious in this regard—not even for a fleeting moment. Otherwise I would never be able to handle the disappointments that come with my work, which, for all my efforts, often represent the results with which I have to contend. Yes, I do have big dreams and high expectations, but my time frame for their fulfillment is grounded in a certain perception of reality that some people, if not most, would probably consider “dark,” if not downright gloomy. But I believe that I belong to a category of people who can be inspired to seek out the light only because of their continuous face-off with all that is dark. The homilies and anecdotes that others exchange in order to keep their focus on the “better future” and the “promised land” are often irrelevant for us. We are more repelled by what is than attracted by what could be, without being completely oblivious to the latter. The imperfections of the present are often sufficient reasons for us to work for change, even as the future remains shrouded in mystery and ambiguity. Reality is often harsh and cruel. So is the present. Even in the best of cases, there is always something vital missing—something that no amount of wealth or spiritual depth can help us acquire. So we yearn and we aspire, and we invent stories to keep ourselves motivated. There is nothing wrong with that per se, unless it becomes a way for us to ignore reality by drowning ourselves and our senses in feel-good messages. When that happens, we need to be regrounded: reconnected with the present and the real. This is what the thoughts below are in part meant to accomplish. These thoughts are random; I have jotted them down in short spurts over a period of two decades. There is no attempt at systematization or coherence, as I advocate no new philosophy. This is not the goal at all. The thoughts are meant to simply act as reminders as to the nature of the realities confronting us as human beings, irrespective of our national or ideological backgrounds. Many of these thoughts I have published before as Tweets and Facebook status updates or as excerpts in the various blogs I maintained over the years, but they were never made available in print or in book form or circulated widely. But since both the real and the ideal can mean different things to different people, I don’t expect the readers to agree with everything or even anything I have to say. My hope is simply to inspire thinking along lines that are often deemed strange or even heretical these days; in doing so, I hope to inspire greater resilience in the face of adversity in the hearts and minds of those of us who are too immersed in a certain kind of work, or are going through a certain phase in their lives, where darkness is oppressively present, making the traditional feel-good messages seem irrelevant, if not downright silly. It would give me a strong measure of satisfaction to feel that I have succeeded in reaching out to these people, because, they are, one way or another, soul mates. As for the rest of my readers, I can only hope that the strange encounter that they are about to have will prove too brief to be painful or disturbing in any way. "A book of illumination and of an awakening of the mind and the soul.” The late Fouad Ajami, author of The Arab Predicament and The Dream Palace of the Arabs. "A must read for those who are trying to understand…why certain individuals keep plodding ahead even in the face of tragedy.” David M. Crane, Former Chief Prosecutor, Special Court for Sierra Leone and director of the Syrian Accountability Project. "Inspiring, even mind-bending, and thoroughly avant-garde.” Scott Lasensky, co-author of Negotiating Arab-Israeli Peace and the Peace Puzzle. "Searingly honest, bitter, unadorned, and unrelenting.” Steven Heydemann, Vice President, Applied Research on Conflict, United States Institute of Peace. 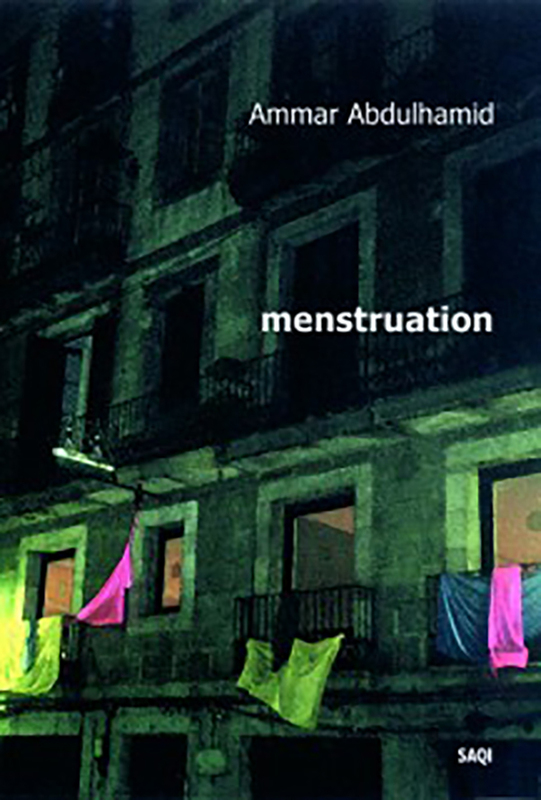 "thought-provoking, profound and invariably original.” Michael Young, opinion editor at The Daily Star newspaper in Beirut. "stark honesty usually absent from revolutionary discourses.” Robin Yassin-Kassab, author of The Road from Damascus.